*According to news source, this drama might revolves around mainland hotels. *This series will cooperate with mainland actors similar as The Drive Of Life. *Damian Lau had added into the cast. *This drama not only will film in Hong Kong but also other countries like Shanghai, Macau, Chengdu and many more. *Bosco said that the roles will have fair time screen and this series is a grand production. *Raymond said the script of this series is done. *In this drama, Bosco will pair up with Toby and they will become a married couple. *Raymond Lam said that 1st place of filming is Shenzhen, Futian. *Raymond Lam said that he'll have a new hairstyle in this drama. *Zhao Ji Kei was finally the mainland actress who will be filmed for Picking Star Of Adventure. *Damien and Cecilia is husband and wife, Toby is their daughter, Raymond is Toby's cousin. *The series's background seems to start in 80s. *This 6th March the official site of Star will be online. There is a chance for a girl and a guy to appear in this series after a contest. The winner will have TVB Contract and shall be a lead of Star. 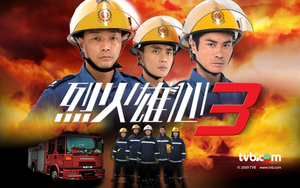 *This series will air in the end of 2009, in both TVB Jade and SMG (Dragon TV).